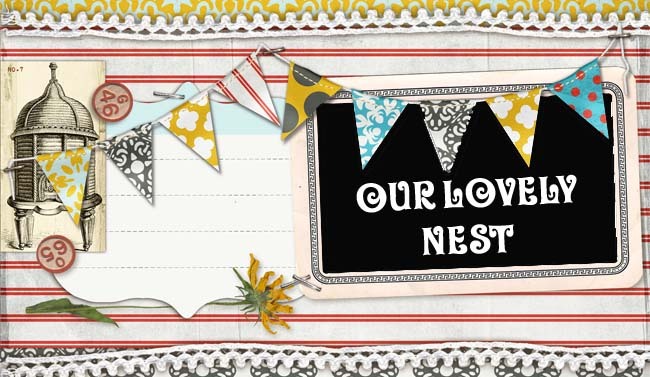 Our Lovely Nest: Fall Back....? What the heck is daylight savings time for (or excuse me, Daylight SNATCHING time)? I mean, I can understand why increasing the length of the day may save some sort of minuscule portion of energy, but when it comes to the winter months, don't we make up for the tiny amount of energy saved by blowing out our electric meters with all the lights we have to use because it's dark at 5pm....on a good day.... not to mention the amount of HEAT we have to use to warm up our houses that could be somewhat heated by the sun... if it were still out? OH, and how wonderful is it to be roused out of bed at such an ungodly hour by the blaring sunlight that is bellowing into YOUR window..... NOT so wonderful, mind you. Let's talk about how much more dangerous it is to drive in the dark than in the daylight... so the government is putting all of our hard working spouses at a greater risk of dying because they are driving home from work in complete darkness.... think of the number of accidents that could be prevented! I am positive that the health of the nation deteriorates this time of year, because all those afternoon exercisers can't do so anymore unless clad in day-glow reflective material (which probably is radioactive and causes cancer) with a headlamp and several flashlights for safety. They don't want to be hit by a car... or mugged...depending on what part of town they live in. People eat more because they are depressed, they are more stressed because the day seems so much shorter and they have no time to get anything done... and their overall temperament goes down the crapper (as demonstrated by this blog entry). Who's with me here? I think that we should petition for change...that sounded so political... but all I can say is whatever idiot came up with the 'Fall Back' concept was clearly in a state of altered consciousness when they decided this was a good idea. And if you call that fat...dear Lord, I'm in trouble. Oh good! I was hoping you would make good on your promise of a good rant. You have some very good points there and clearly you aren't alone...aren't there some states that refuse to participate in this?